THE MASSUCO FAMILY FOR FOUR GENERATIONS CULTIVATE THE VINEYARDS THAT SURROUND THE CELLAR AND THAT ARE DIRECTLY WORKED RESPECTING THE ROERO TERRITORY. THE ROUTE WAS CLEARLY MAPPED OUT BY THE FOUNDERS: GROWTH AND EMPLOYMENT BASED ON THE QUALITY OF WINE, PRODUCED FROM GRAPES WORKED IN 20 HECTARES OF OWNED LAND, WITHOUT THE USE OF GMO PRODUCTS, THROUGH THE WHOLE CHAIN. AND THE WINE IS THE TRUE WITNESS OF THE HILLS THAT BECAME UNESCO HERITAGE. 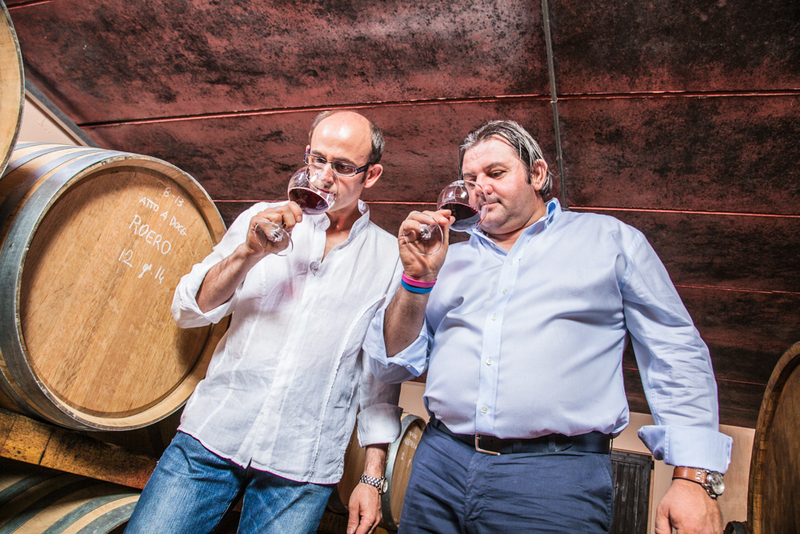 The secret of the Massucco family is to know how to enhance the unique features that each denomination has, according to the Terroir where it’s produced. The wines (60% red and 40% white) under Massucco e Cascina Serra brands are typical Piedmontese. They also produce various types of high-end Spumante, in harmony with the modern taste of class wines, and a special line of Cru red wines from grapes selected through two separate processes: the choice of the best grapes in the vineyard and meticulous work in the cellar. That’s the way to get the highest quality: aroma and balanced taste. RED WINES: from the structure of classical wines Roero Barolo and Barbaresco, the unique taste of Barbera and Nebbiolo, to the medium sweet Dolcetto. WHITE WINES: from the classic wine of our area, Roero Arneis DOCG, to the DOC Langhe Favorita. SPARKLING WINES: Charmat Method (Arneis and Favorita); Metodo Classico (Chardonnay, Arneis and Favorita); the sweet Birbet (100% Brachetto) and the classic Moscato d’Asti. High quality scents and modern tastes. For those who choose the style. The CRU: Some red wines are produced from cru, unique vineyards where the best grapes are selected while, in the cellar, the wine ages according to controlled procedures to enhance scents and taste,that is in one word: Quality. A visit in the Massucco winery means getting in touch with the experience of a company that since 150 years has the goal to produce high quality wines. Our motto is: from vine to wine. Everything is designed to ensure the integrity of the fruit. The visit, through a wine path, allows you to follow the production stages and continues until you reach the 10 meters underground barrel room where selected wines are stored, ending with a tasting that rewards the palate of wine lovers and experts.